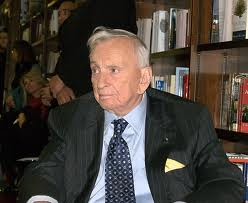 Playwright, author, commentator and politician Gore Vidal whose published works were vast and whose public remarks were characterized by his unconventional wisdom and immodest wit, died on Tuesday in Los Angeles at the age of 86. He died while at his home in Hollywood Hills around 6:45 pm. Burr Stevens, his nephew, said Vidal died from complications of pneumonia. He had been living by himself in his home and was sick for quite some time, said his nephew. Vidal, in his perfect world, would have been president or even a king, but in the real world, he earned his living, and a very good one at that, from challenging those in power, not holding it. He was famous and wealthy and committed his life to exposing a system that was many times led by men he became to know firsthand. Vidal was one of the last of a generation of literary writers who became genuine celebrities. He appeared regularly on talk shows and in gossip columns. He became so famous that even people who did not read his books knew his name. Amongst his works were hundreds of essays, the play The Best Man, and the novels Myra Breckenridge and Lincoln. He was never comfortable with the political or literary establishment and they felt the same way about him. Besides his honorary National Book Award, he also won major writing prizes. He ran for office twice and lost both times. His high profile friends included Orson Welles, Mick Jagger, Hillary Clinton, Frank Sinatra and many others.